Small but nice! 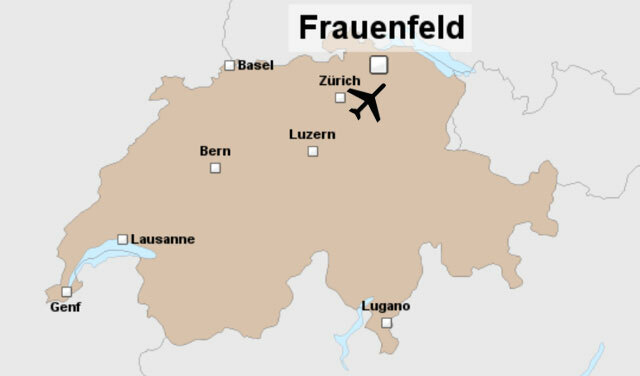 25,000 people are living in Frauenfeld, the capital of the canton Thurgau. It is located in eastern Switzerland between Zurich and the Lake Constance, so very close to the border to Germany and Austria. Frauenfeld is well developed. Zurich Airport can be reached by public transport in 30 minutes, and Frauenfeld is directly connected to the Swiss highways. Frauenfeld is first mentioned in documents in the 13th century, today the city is also the home of numerous large companies. Every summer the Open Air Frauenfeld takes place, Europe&apos;s biggest and most famous hip-hop event. Frauenfeld has also made a name for itself as a venue for various sports events. Every year, motocross world championship races and the most important swiss horse races are visiting Frauenfeld and their famous spectators. Frauenfeld was also the host of the federal festivals of gymnastics, swiss traditional wrestling and shooting.